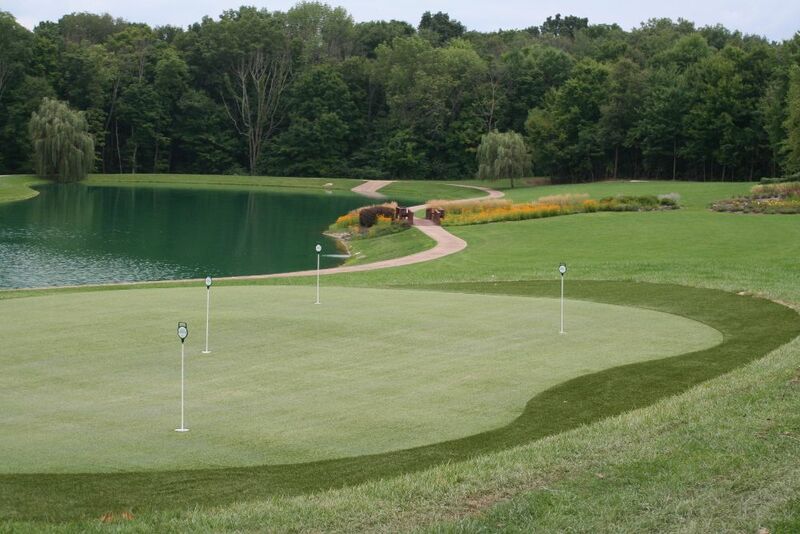 Tour Greens' in-house design staff and certified dealers have extensive experience in the design and installation of synthetic turf golf greens, tee lines and hitting mats for commercial applications. 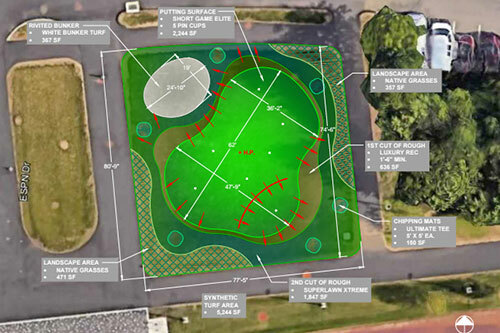 The design process typically starts with our professional design team asking you questions related to your facility, activity requirements and customer traffic. Once we receive your input and provide recommendations, we will start the design process which includes product integration and installation guidelines for our team. Each of our designs and renderings are done to scale, allowing you to see how the green will look in your existing space. All estimate packages include a design that precisely places your green/s, landscape additions, and any additional amenities on your property using satellite imagery and listing exact dimensions. 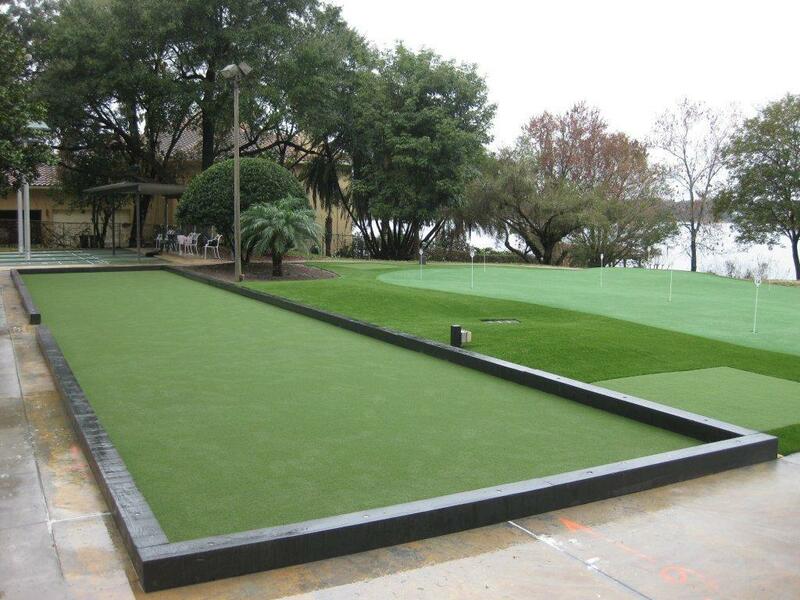 Tour Greens specializes in the design and installation of indoor practice facilities for high schools, universities, pro shops and golf training centers. Our design staff will analyze your available space, your training requirements and your budget and develop a solution that meets all of your needs. 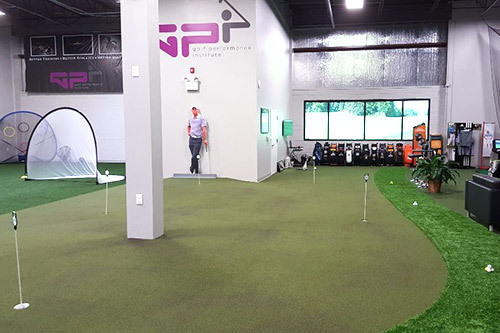 We offer a wide selection of options for indoor practice facilities, allowing golfers to practice every aspect of their short game year round.